The Design Support Library helps you implement shiny, interactive Material Design components and supports phones running extremely old versions of Android! Have you been surfing through thousands of Github libraries to add a Facebook-like Sliding Navigation menu in your project? Or searching for a convenient widget that will show tabs with icons at the bottom of your app’s homepage? 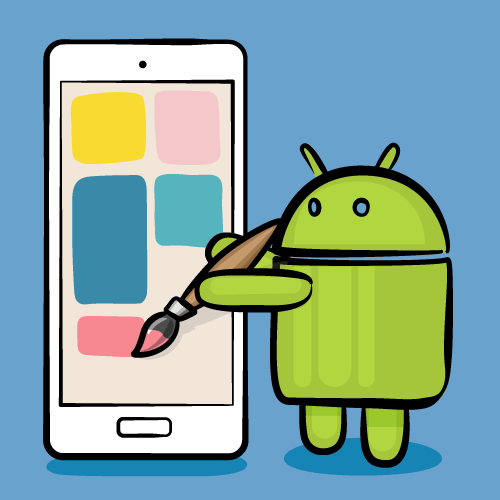 Behold – the Android Design Support Library is for you! The Android Design Support Library helps you implement those shiny, interactive design components with minimal code! To kick things off, start by downloading the materials for this tutorial (you can find a link at the top or bottom of this tutorial). Unzip iSell.zip folder into your desktop. 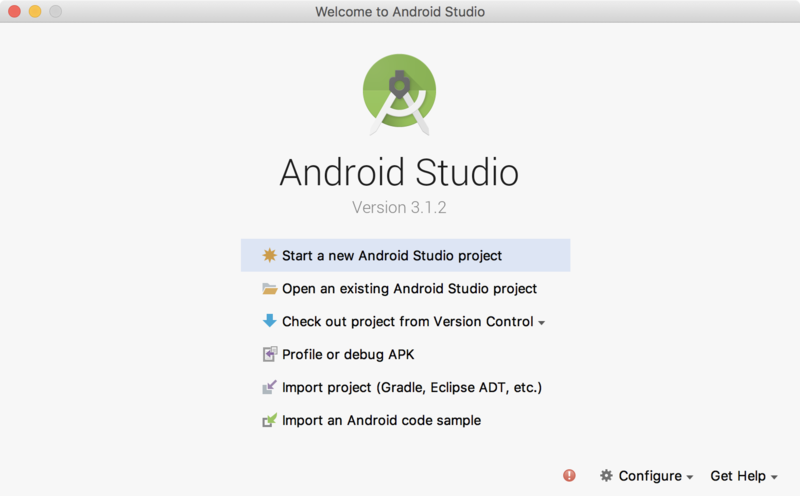 Now launch Android Studio 3.1.2 or greater and select Open an existing Android Studio project to import the starter project. And you will see a screen with the project name. Kudos – you’ve successfully kickstarted the project! 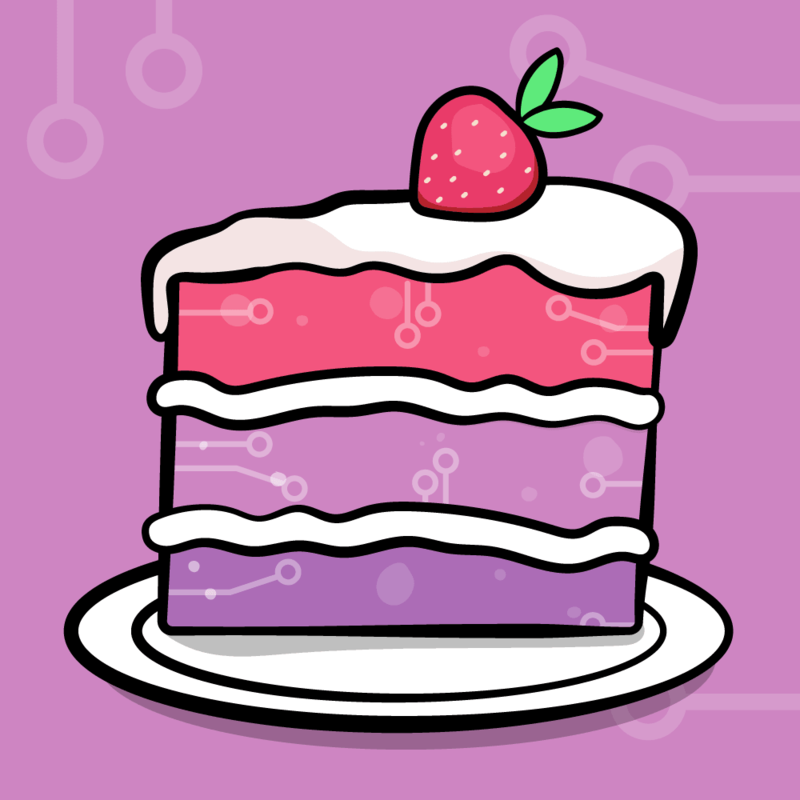 Adding Design Support Library to your project is a piece of cake, but it requires a few different components. You should always use the latest version of each component, and make sure they’re the same version for all the components. You will use this version with all the Design Support Library components later. Design Support Library: Adds all those “exciting” UI components we are talking about. For example: BottomNavigationView, FloatingActionButton. We’ll be adding one of each later in this tutorial. CardView: Is a View component that shows its content in an elevated card, and highlights it to stand-out from the background. Most commonly used with list items. 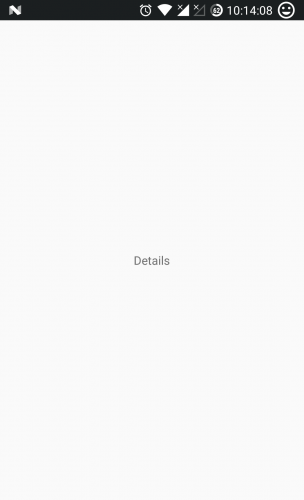 With kotlin-android-extensions, you can directly access a View‘s id without having to initialize it using findViewById(). Its just sweet syntactic sugar! 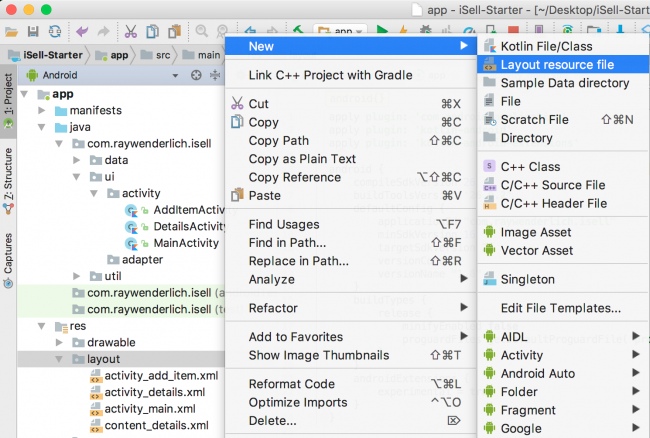 If you are keen to know more about kotlin-android-extensions you can find out more here. 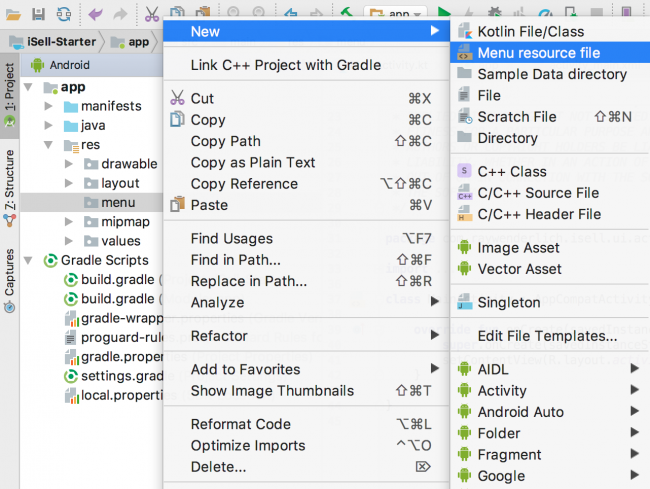 Before adding any Kotlin code, configure Android Studio to automatically insert import statements so that you don’t need to worry about imports for every change you make. 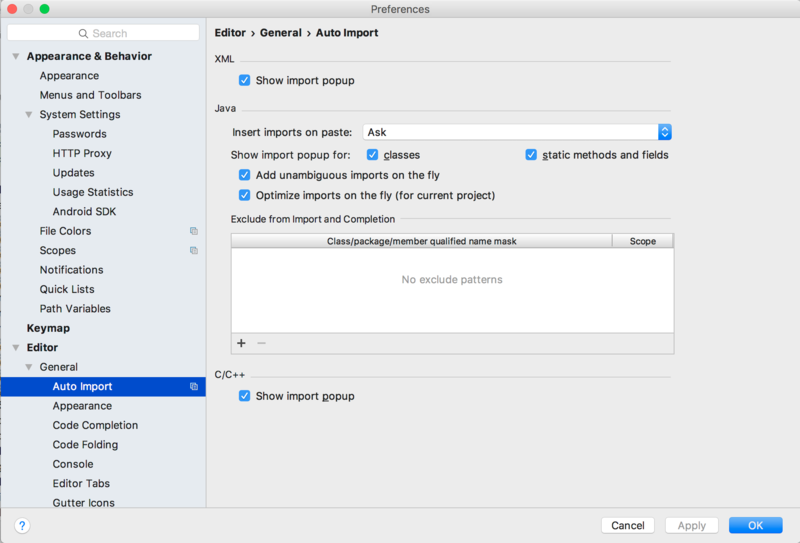 Go to Preferences\Editor\General\Auto Import, check Add unambiguous imports on the fly and Optimize imports on the fly checkboxes and click OK.
Again, don’t forget to click Sync Now in the top-right corner of your IDE. You’re now done with all the setup! Here, RecyclerView will be identified as itemsRecyclerView and the width and height properties should match its parent layout. You’ll notice that you set the layoutManager directly in the XML to use a GridLayoutManager. Setting the app:spanCount tells the GridLayoutManager that you want to show 2 items in a row, so you tell the layoutManager to prepare layout for the grid. Next, you need to design the layout for the items in the list. 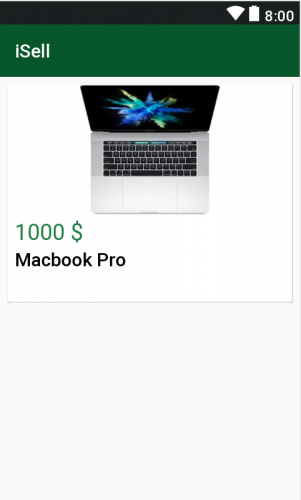 For each item in being sold, you’ll want to show the image, price and title. To make a layout for that, right-click on layout folder, select New, then select Layout resource file and name it layout_list_item.xml. Here the CardView and its properties may seem new to you, but other components are quite familiar – you are just adding views to show the image, price and title inside a RelativeLayout sequentially. Using CardView makes your item appear elevated with the use of drop shadows around the element. The above property adds a light-themed background color for the CardView from Design Support Library. This property makes the card’s corners to look rounded. You are using the default radius provided in Design Support Library. You can play with the values for this property, the edges will look more rounded with a larger value. This property allows a CardView to look more or less elevated. This elevation of the view determines the size of the drop shadow. The larger the value you provide, the more elevated it’ll look. 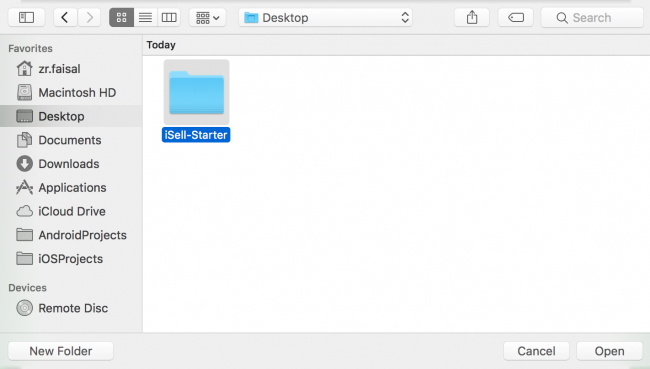 ItemsAdapter is declared as a subclass of RecyclerView.Adapter which accepts a list of Item. ViewHolder is a subclass of RecyclerView.ViewHolder. It inherits the power of being cached into memory and re-used to display an Item inside the RecyclerView. The bind(item: Item) function inside it does all the binding between the Item and the View. onCreateViewHolder() function creates a new ViewHolder when the adapter needs a new one with the view you designed in layout_list_item.xml. onBindViewHolder() glues each Item from the list with a ViewHolder to populate it using the bind() function. getItemCount() function tells ItemsAdapter the number of items in the list. This function accepts Category as input and fetches a list of items from that category through the DataProvider. Then it creates a new ItemsAdapter with those items and sets to itemsRecyclerView. 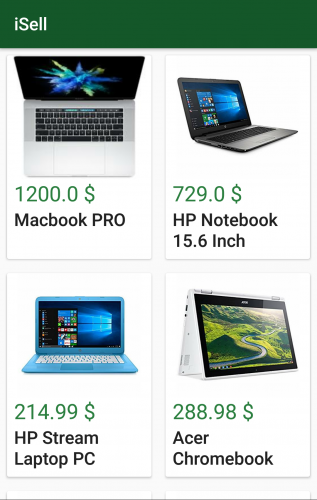 Here you are fetching items from the LAPTOP category through the DataProvider. Feel free to play around with other categories also. The onItemClick(item: Item, itemView: View) function will be called by the interface to let you know which specific Item object is clicked. Here itemView is the view that represents the Item in RecyclerView. ItemsAdapter now requires an OnItemClickListener instance when created so that you can use the instance later. This binds the clickListener instance to every ViewHolder. 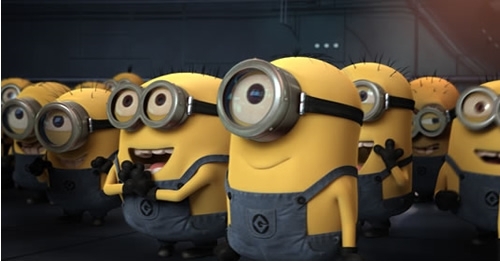 Notice that you are using listener.onItemClick(item, it) inside setOnClickListener for itemView. That means, onItemClick() function will be fired whenever user clicks on an itemView and passes the reference of it’s corresponding item and view through the listener interface. to include the OnItemClickListener inside populateItemList(category: Category) method. But that’s ok for now, you will make it look good soon enough! VectorDrawables are graphic elements that consist of points, lines and color information defined in a XML. It adjusts itself to different screen densities without loss of image quality, so using one file is enough to support devices with different resolution which results a smaller APK! 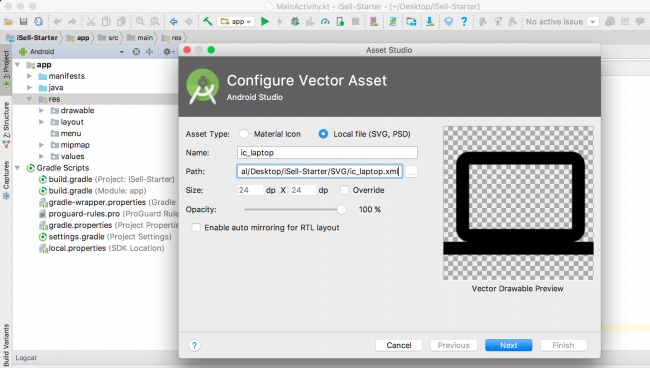 Android Studio has a lot of VectorDrawables bundled with it for your convenience, but you can also use your own svg or psd icons as VectorDrawables. To import them, you would right-click on the res folder and select New > Vector Asset. This will open the Asset Studio. The starter project for this tutorial has icons that have already been converted to vector drawables in a folder named SVG inside the project directory. Navigate to that folder and copy all the xml files into the res/drawables folder. You can now use those vector drawables inside a BottomNavigationView. You may want to display items of different categories in different tabs. How about showing them at the bottom of MainActivity with a nice icons? Design Support Library provides a widget called BottomNavigationView that makes this task easy! Right-click on res > menu folder and add new Menu resource file. 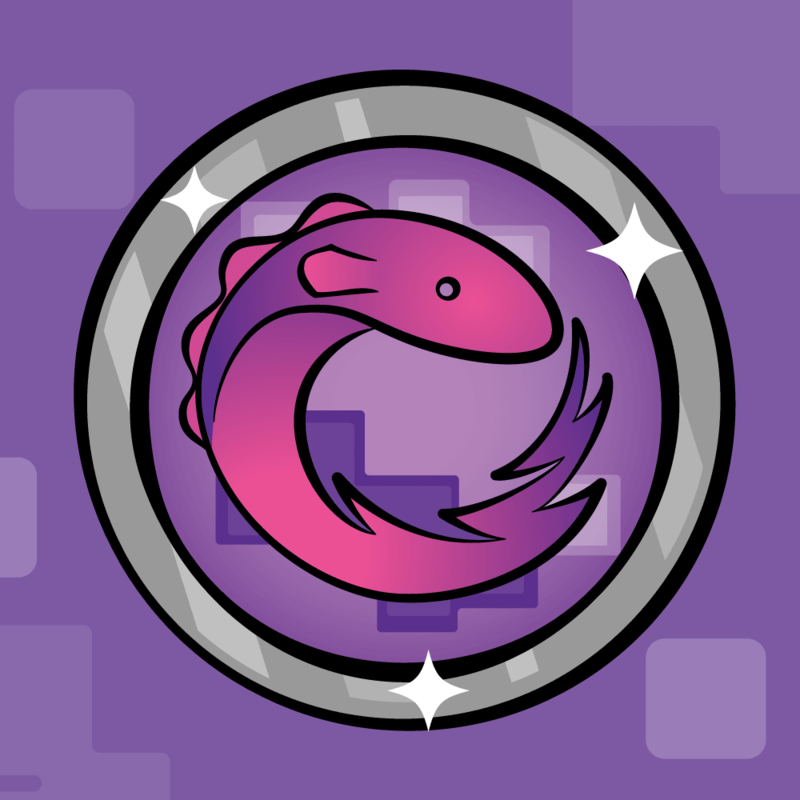 The code is pretty straightforward here, you are setting an id, icon and title for each item in the BottomNavigationView which will be displayed as a Tab with an icon and title. to the RecyclerView so that it shows above BottomNavigationView instead of fullscreen. The intention of the BottomNavigationView is to show Items of different categories when users select different tabs from the BottomNavigationView. The onNavigationItemSelected(item: MenuItem) function fires each time a user clicks a MenuItem shown as Tab in BottomNavigationView. This function, determines which MenuItem was clicked using the item.itemId and calls populateItemList() with it’s corresponding Category to show the items of that category in the RecyclerView. onNavigationItemSelected(item: MenuItem) will return true to notify MainActivity that a NavigationItem is selected if item.itemId matches to any item defined in the menu_bottom_navigation.xml or returns false otherwise to keep things unchanged. Run the app again you’ll notice the items changing after each tab is selected. Adding another button inside MainActivity to add new items will eat a lot of precious real estate in your landing page, but how about overlaying a button over the list of items? Did someone say FloatingActionButton? This function will be called when user clicks on the FloatingActionButton and navigate from MainActivity to AddItemsActivity by starting a new Intent. TextInputLayout is basically a wrapper for EditText enhancing it to display floating hint animations, error message and character counts in a more material way. in titleTextInput inside activity_add_item.xml displays 30 character limit for titleEditText input and shows character count interactively and no extra line needed! titleTextInput.error = "Please enter a valid Title"
priceTextInput.error = "Please enter a minimum Price"
It returns true if all validation filters above passed and proceeds to add an item. Run the app and try to add an item without price - you'll be stopped with an error message! Snackbar is the smarter version of Toasts in Android. You can provide action buttons like "OK" or "CANCEL" along with a message using a Snackbar. Unlike Toast, you need to provide a view to display the Snackbar. 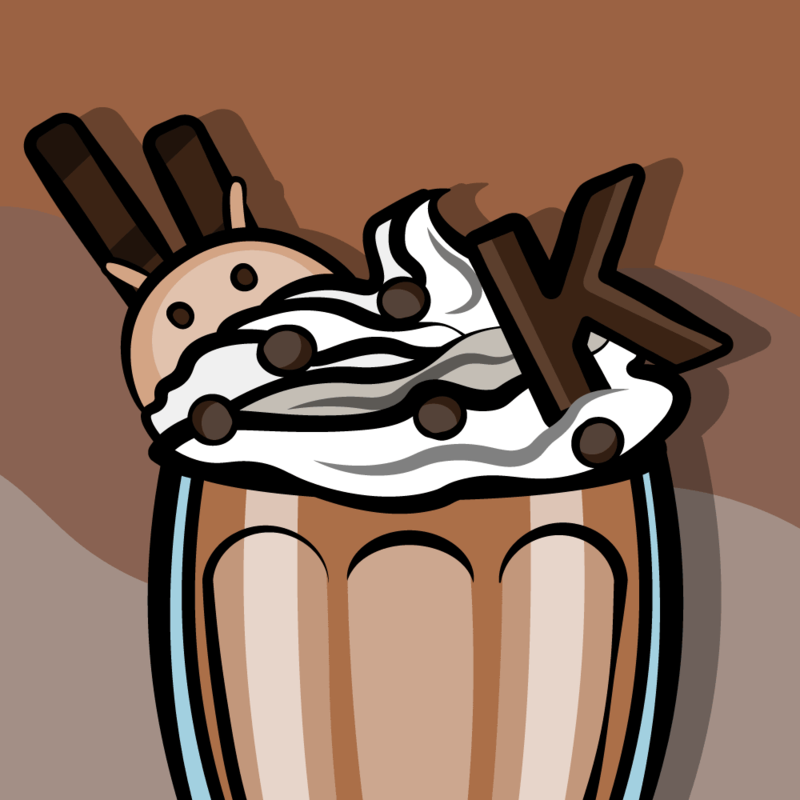 It shows a Snackbar in addItemRootView with a success message for a longer duration defined by Snackbar.LENGTH_LONG. which performs navigateBackToItemList() action on button click. CoordinatorLayout is the root layout and the container for it's child views. By specifying a behavior to a direct child of CoordinatorLayout, you’ll be able to intercept touch events, window insets, measurement, layout, and nested scrolling. Don't panic - you'll learn to implement them in the next section! 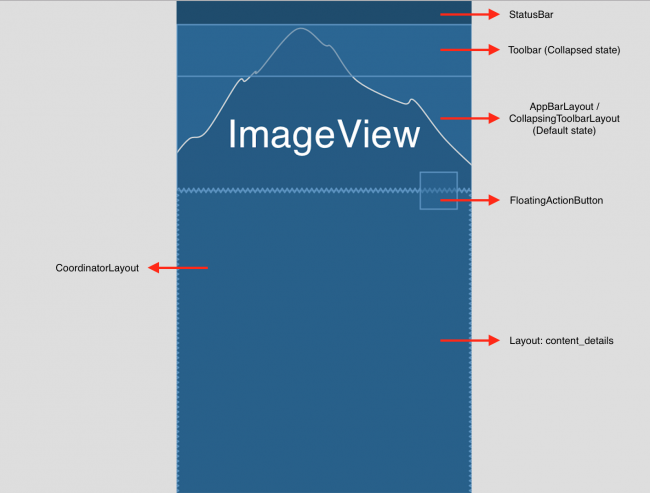 AppBarLayout allows your Toolbar and other views (such as the ImageView) to react to scroll events in a sibling view. You used the above property to overwrite relevant attributes for light overlay style. CollapsingToolbarLayout is a wrapper for Toolbar which allows the Toolbar to expand or collapse as the user scrolls through a view. Using the above property gradually changes CollapsingToolbarLayout's color to the provided color when it's collapsing. styles it to be elevated as like a Popup when the Toolbar is visible. You are including a layout from content_details.xml that shows the price, title and details of the item. The FloatingActionButton allows you to share your item via a share-intent. Setting the above property will fire the onClickShareFab(view: View) function inside DetailsActivity when user clicks on it. These last two properties keep the button it attached to the bottom-end of the AppBarLayout. The CoordinatorLayout automatically manages the visibility of FloatingActionButton when AppBarLayout is collapsed as you set the appBar as layout_anchor. With the above property, you share scroll events on the NestedScrollView with AppBarLayout so that it can expand or collapse accordingly. This sets the category name in the Toolbar title and the Item's image to the ImageView. 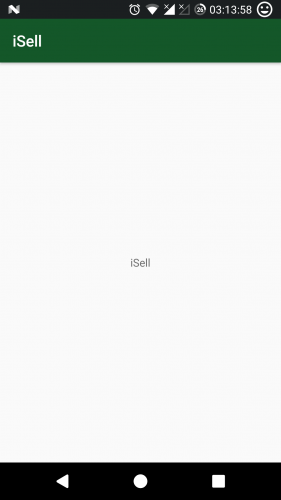 This adds a nice parallax-scrolling effect to the ImageView when AppBarLayout open or collapse. The layout_collapseParallaxMultiplier impacts on speed and visible area during scroll. Default value for this is 0.5, you can play around this value and check which suits you best. Build and Run and see the changes in all its glory! This completes your quest into making an awesome marketplace app! Don't stop here; keep working on it - and maybe you can make the next eBay! You can download the final project using the link at the top or the bottom of this tutorial. Use Downloadable Fonts to improve overall look and feel. 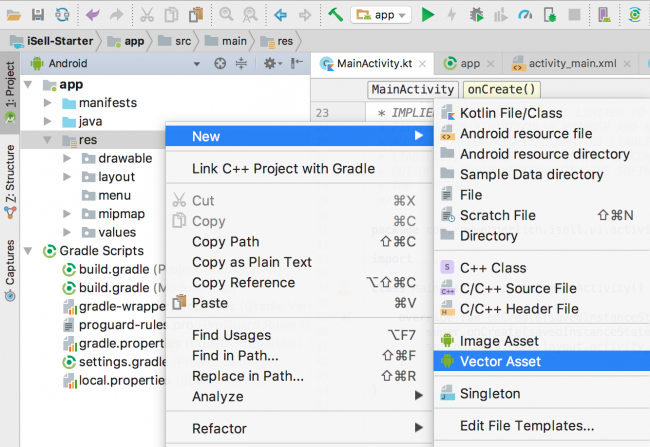 I hope you enjoyed materializing your app with Android Design Support Library. If you have any questions, comments, or awesome modifications to this project app please join the forum discussion and comment below!